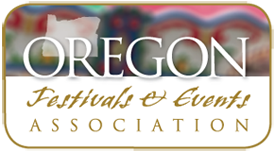 The Dalles Area Chamber of Commerce and Sedition Brewing Co. proudly present the Gorge Hops and Hogs Fest, taking place at Lewis & Clark Festival Park in The Dalles, Oregon, June 15, 2019. The family-friendly event features Pacific Northwest Craft Breweries featuring their special Summer Brews, BBQ Challenge, music, food, yard games, kids zone and a variety of vendors. There is Free admission, Free Games, Free BBQ Samples after the judging, while supplies last. This event is FREE to enter for everyone! The Games and Activities are FREE. Whether you prefer Belgians or Blondes, Pales or Pilsners, Saisons or Sours — come to The Gorge Hops and Hogs Festival and see for yourself why beer and BBQ rule! It’s a perfect setting for a day of BBQ, beer and picnics. Bring your blankets or lawn chairs and enjoy!